RAMALLAH (Ma’an) — Israeli forces assaulted and injured a Palestinian staff member of the al-Bireh Municipality, late Thursday, while passing by on the road leading to the illegal Israeli settlement of Maale Mikhmas, built on the lands of Mikhmas Palestinian village, in the central occupied Ramallah district. Israeli forces forced Abdullah Hamayel out of his vehicle, as he was dropping off workers, near the illegal Maale Mikhmas settlement, and assaulted him. Israeli forces held Hamayel for several hours, during which he was repeatedly beaten for about 15 minutes, however, after he sustained visible injuries, Israeli forces threw him in the street and forced him to return to al-Bireh. 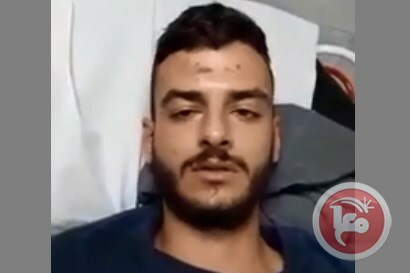 Medical sources reported that Hamayel sustained fractures and bruises in various areas of his body due to the violent assault by Israeli forces. The reason for the assault remained unknown.